Ambassador Henne Schuwer, Lt. Gov. Mike Stack and Consul General Dolph Hogewoning present the proclamation of cooperation between Pennsylvania and the Netherlands. Ambassador Henne Schuwer today led a delegation from the Embassy of the Netherlands to Pennsylvania for discussions about optimizing the relationship between the Keystone State and the Dutch people to advance their longstanding cultural and economic partnership. The delegation also brought a historic map and a copy of the Dutch colonial council minutes of 15 May 1642, detailing the Dutch trade in the area that is now Pennsylvania. 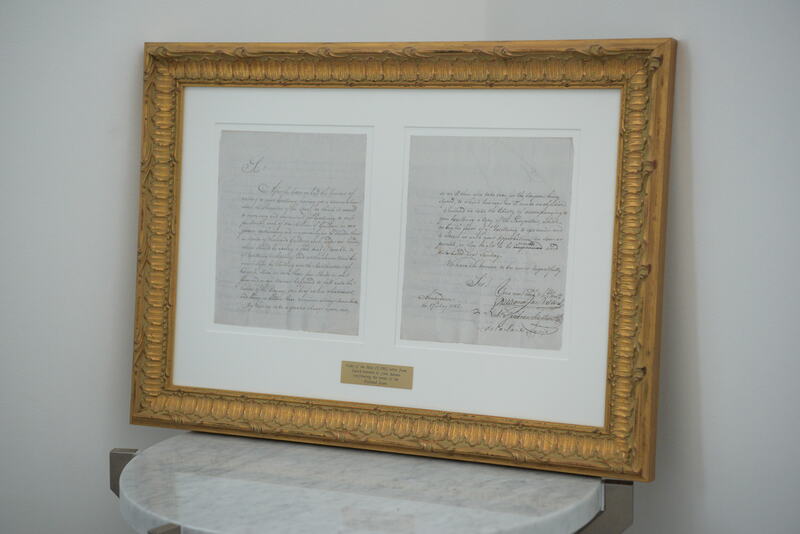 Both documents were provided by the New York State Archives. As a top 10 destination of Pennsylvanian exports, the Netherlands remains a strong partner of the Keystone State. Ambassador Schuwer and his delegation held an economic roundtable with officials of Pennsylvania’s Department of Community and Economic Development and Department of State. Last year, the Dutch government appointed two new honorary consuls for Pennsylvania, Wilfred Henricus Muskens in Philadelphia and Thomas R. Johnson in Pittsburgh. 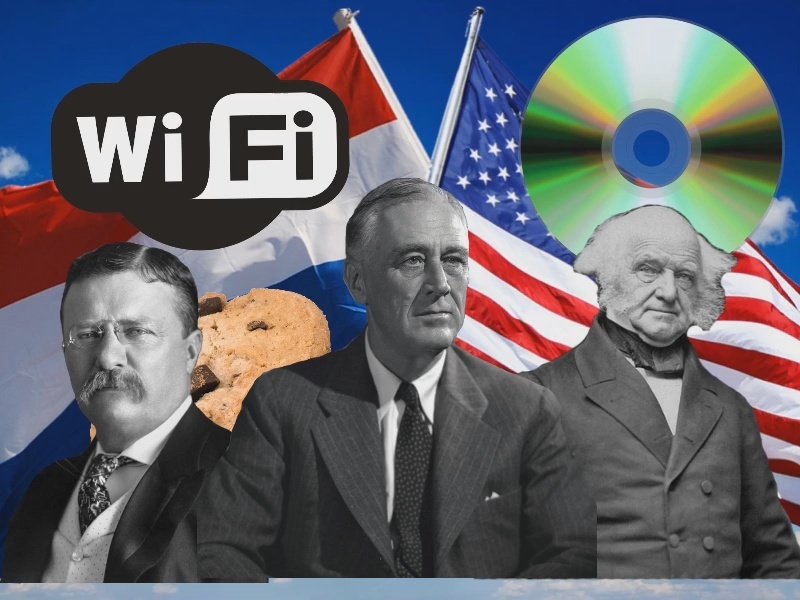 Stack hosted a reception for the delegation in his capitol office, followed by a news conference on the balcony, featuring a proclamation of cooperation between the Keystone State and people of the Netherlands. The event comes against the backdrop of the Dutch Celebration of King’s Day, traditionally marked on April 27. 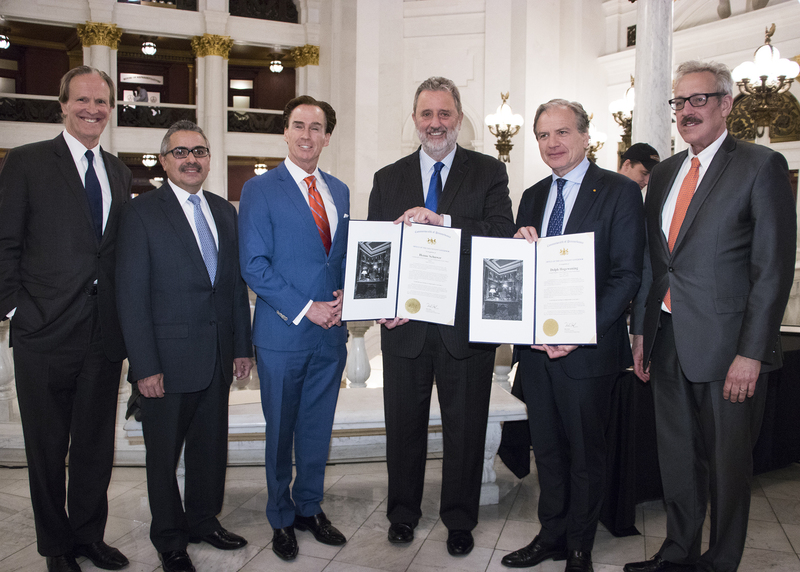 Stack presented the ambassador with a proclamation marking today as “King’s Day in Pennsylvania.” Tonight, the state capitol lights will be orange to mark the day.